Adopt the 4 track cams seal design and equip with the knit cams, tuck cams and miss cams. High precision central raising and falling system can adjust the fabric weight conveniently and quickly. The special design of feeding yarn carrier makes the addition Lycra more proficiency. 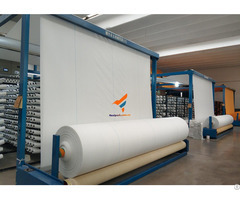 Adopt the humanization design, the additional middle feeding yarn transfer ring, easy for personnel observation and carry yarn, avoid touching operator’s body; at the same time, the yarn carrying will more freely and steady, satisfying the demand of machine operating and knitting under high speed. From single jersey knitting machine to 3-thread-fleece and terry machine. Through changed few spare parts, the machine can produce various different plain cloth, such as fiber covered cotton, single pique mesh, single fleece and small tripe cloth. 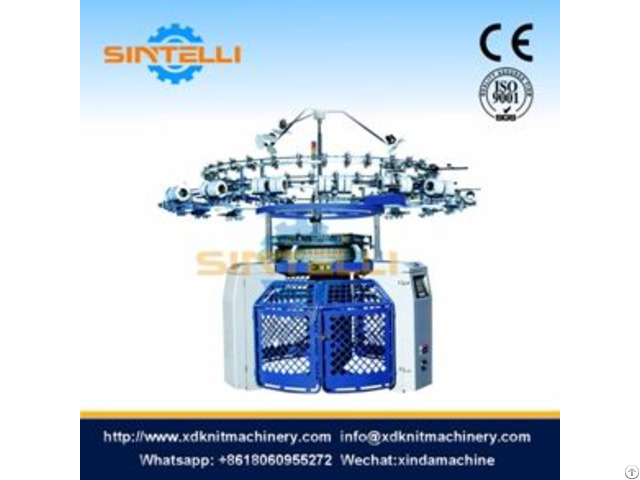 Business Description: Xinda Precision Machinery Co., Ltd (Sintelli) was established in 1998 with the main goals for achieving high quality and 100% customer satisfaction in the worldwide industry. Based on China, Sintelli also recruit capable agents openly and widely. With 18 year's experience on developing and manufacturing kinds of knitting circular machinery, Sintelli’s R&D department possess the extensive and latest technology that can be tailored to our valued customers every need.